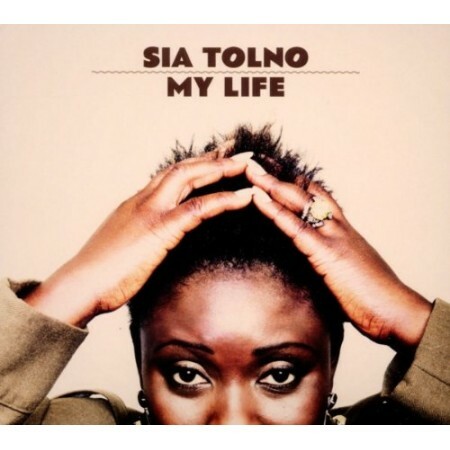 If her music wasn't so compelling, you might be drawn to Sia Tolno simply for her story of hardship and triumph. She fled an abusive home in Sierra Leone, then had to flee that country's civil war, ending up selling palm oil and singing in clubs in Guinea. It was there that she was "discovered" after her entry in a talent contest. The album with a tradition-rooted song in praise of the town of Blama in Sierra Leone, where Tolno used to attend a festival at the end of each year. The town was devastated by the war, but Tolno says "I wanted to tell people that in this town we had a very joyful festival, where we just sing and play all these traditional instruments. I wanted to open with my tradition, to show where I am from." [mp3] Sia Tolno: "Blind Samaritan (Poor Man)"